A couple of weeks ago some friends of mine decided to test my forthcoming album "People Hear What They See" on some random people on the streets of DC & London as an experiment... without telling me. Theses were the results. I was fascinated by the responses given in this video. 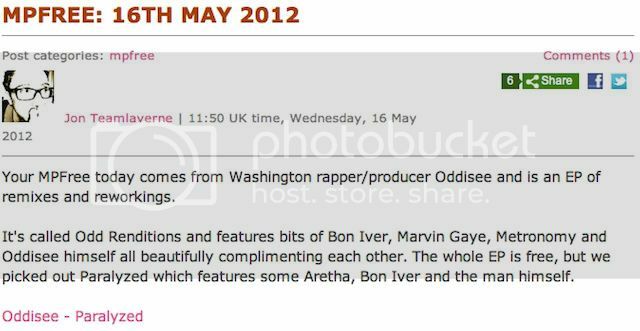 I'm use to reading reviews of my album by journalist & to be honest... Whether they're good or bad, I rarely agree with them. There was something so refreshing about my work being critiqued by total strangers. People with no agenda, just hearing music from an unknown artist & giving their honest opinion. In today's world, that's a rare thing. Here's my newest EP, 'Odd Renditions'. Marvin Gaye's "Ain't That Peculiar", the video for which I sent you guys first last week. Well lets make the world a better place, one pre-order at a time. My new album 'People Hear What They See' is available to pre-order now & released on iTunes June 5th. 'People Hear What They See' will be available everywhere else on vinyl, CD & other digital retailers,June 12th. My new solo album 'People Hear What They See' Will be available exclusively on iTunes June, 5th & everywhere else on June, 12th. You can pre-order it now on iTunes. Rappers are generally in the business of storytelling, but whether those stories are true or not is often a sidenote. 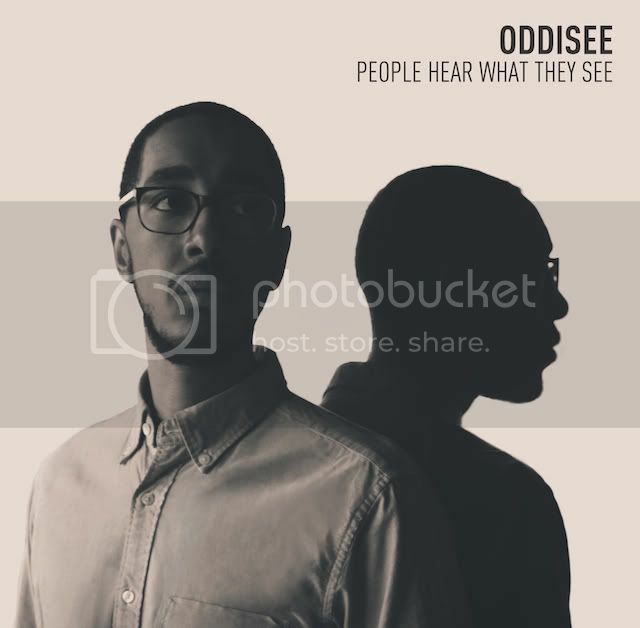 “People Hear What They See” is Oddisee’s debut full length album, and its key concern is honesty - honesty with yourself, with what you tell the world, and the relationships people have with each other. The title came from a feeling that most of the time we’re content not to look or listen beneath the surface for the truths which lie beneath. The steps of the Washington Memorial during the inauguration or a bus in east London just after the riots might not be the most practical places to write a song, but Oddisee felt it was important to write both what he saw happening around him and his own reactions to it - it’s easy to make up a hollow but impressive story when you’re alone. 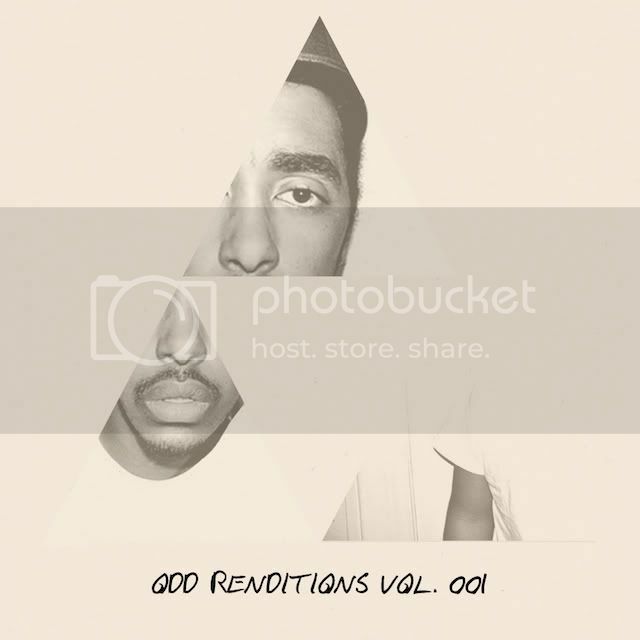 Often told by listeners that his music has a cinematic quality to it, sparking memories from the past or providing a soundtrack to an afternoon: Oddisee uses the spontaneous and unexpected moments which come from keen everyday observations and working with live musicians, rather than toiling at midnight in isolation with a crate full of samples in a studio, to create songs with an emotional and filmic quality. Growing up in Washington DC, home to both America’s richest and poorest, shuttling between his Sudanese and African American families, Oddisee didn’t have the luxury of accepting a singular story or vision of the world as something he could believe in. “People Hear What They See” puts a microscope over those stories - be it a skewed media report on political policy, the escapist visions playing on commercial radio, an argument with a partner you’re with for all of the wrong reasons, or the fight between self-doubt and false-confidence in your own head.